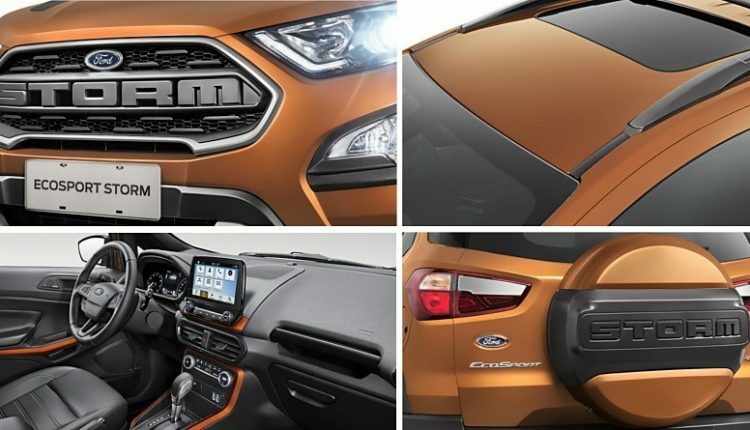 Ford EcoSport Storm 4×4, a model specific to the Brazilian market for BR 105,290 (INR 19.10 lakh approximate), may join the Indian market in 2019. 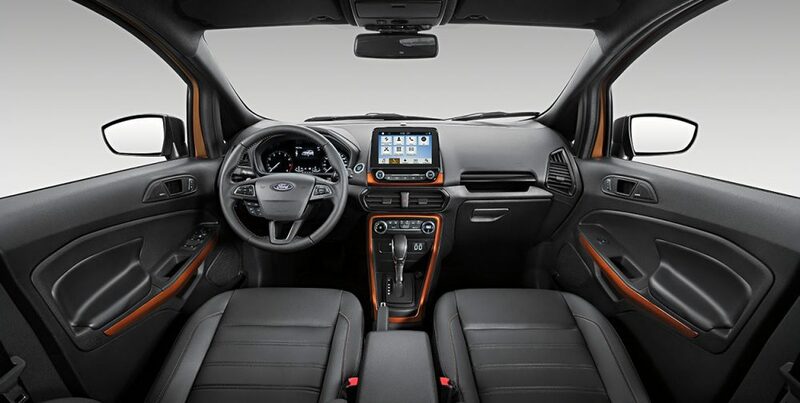 It was first teased on official Ford Brazil website and comes based on the top spec 2.0L flex fuel engine AT option. 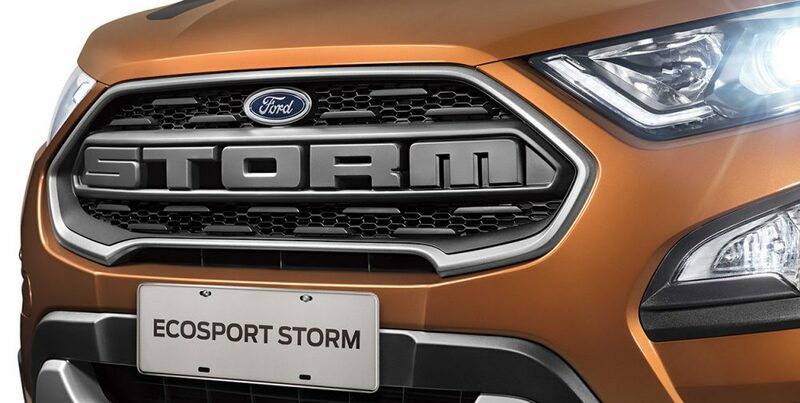 Official images clearly show the huge black grill with Ford and Storm moniker at front. 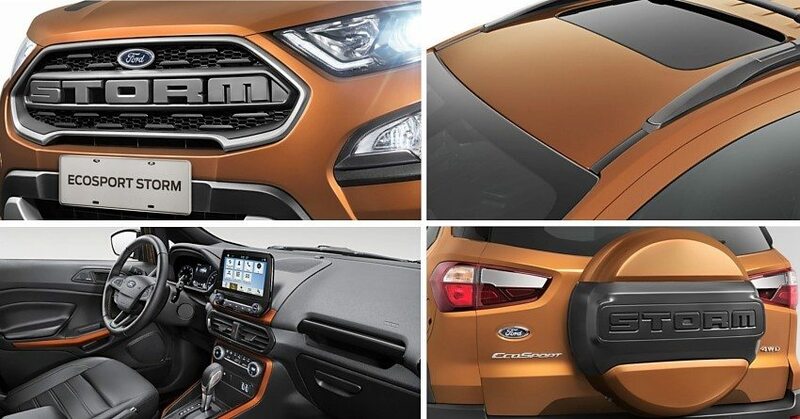 Fog lamp garnish, wing mirrors, door handles and almost every highlighted part now turns black on the EcoSport. 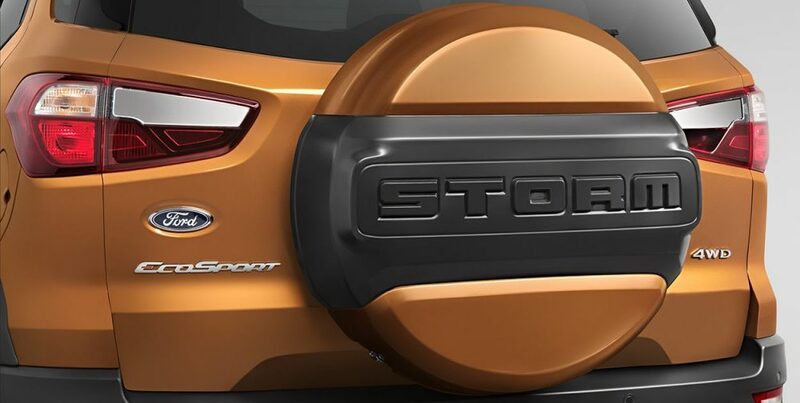 Ford is even using a thicker belt-line with Storm lettering for added visual appeal. The Storm variant seen here comes with black roof rails, luggage rack, redesigned bonnet design and almost no use of shiny materials. The 2.0L, flex fuel engine is already on sale in certain markets but Indian version may continue with familiar diesel option. 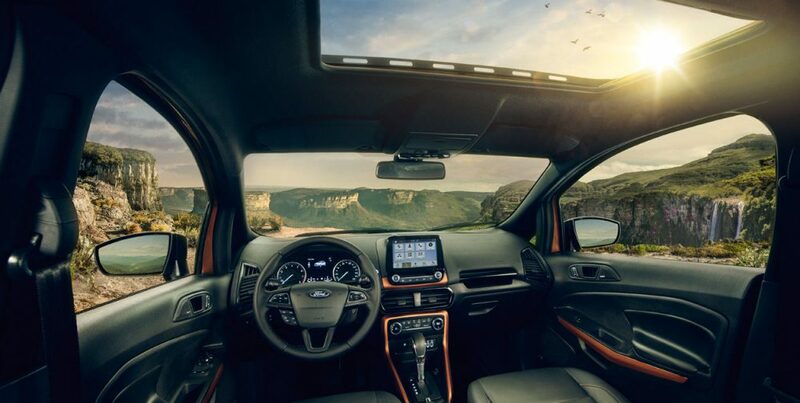 Ford has added 4×4 and sunroof to make thing even more interesting for their buyers. Brazil spec 2.0L engine is good for 176 HP and 221 Nm of torque. The engine come mated to a 6-speed automatic gearbox. These values come down to 170 HP and 202 Nm, when calculated with just petrol as primary fuel. 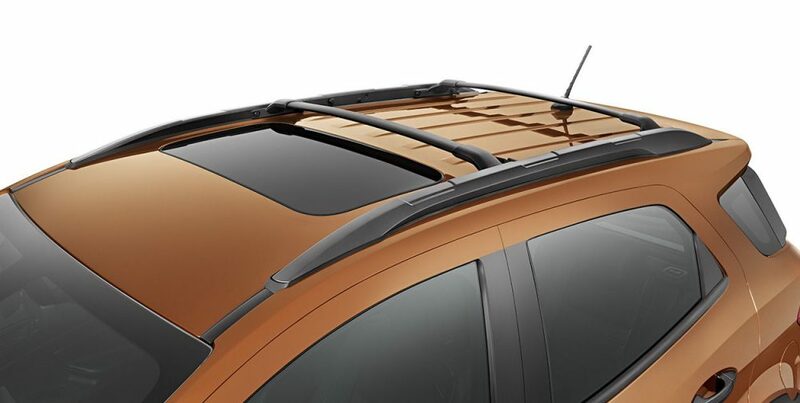 Indian version now comes with sunroof but 4×4 is still not available on any of the variant or any other rival in the segment. 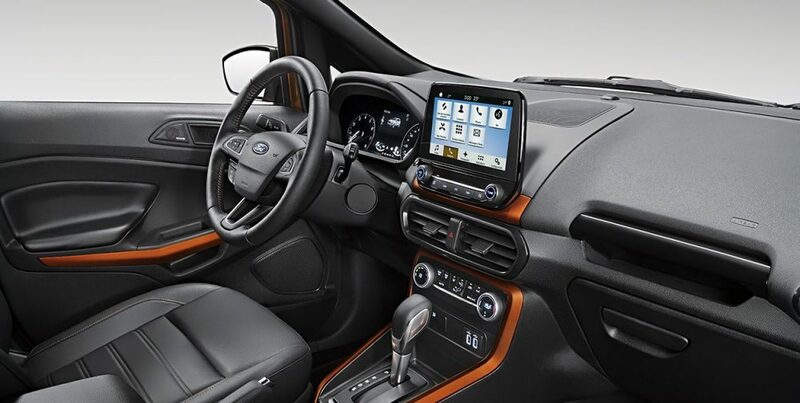 Interiors of the Ford EcoSport Storm features dual tone interior, grey center console finish and 7-inch touchscreen infotainment system. 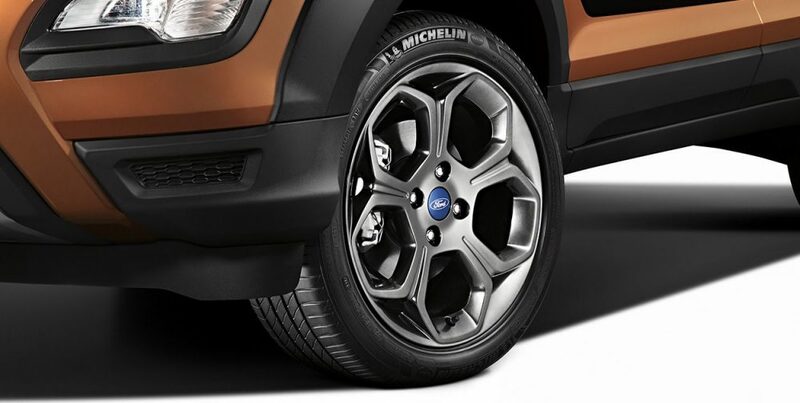 Ford may willingly delay the launch for India as no other product in the segment comes with 4×4 option. Ford Mustang is also waiting to get the 2019 update in the Indian market. Ford EcoSport is available in India from INR 7.82 lakh for the base petrol model and goes up to INR 11.89 lakh for top spec diesel S variant.